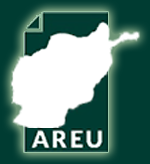 The Afghanistan Livelihood Trajectories project builds on the results of a prior AREU study conducted in 2003-04. 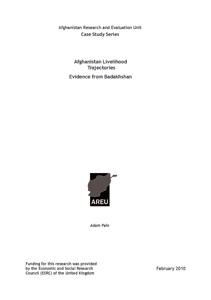 Through case studies in Faryab, Badakhshan, Sar-i-Pul and Kandahar Provinces, it examines patterns of change in rural household livelihoods over the course of the past decade, informed by changes in contexts within which people lead their lives and the practices they implement to cope with these changes. Findings from the studies suggest that many rural households in drought-hit northern provinces are poorer now than they were at the start of the decade. Despite development aid that has brought tangible improvements in the provision of education, healthcare and clean drinking water, the daily struggle to put food on the table remains the overwhelming concern for many village households. Policymakers in recent years have generally overlooked this reality, restricting their focus to simple GDP growth. Yet people in rural Afghanistan are increasingly caught in a poverty trap with few escape routes. Poverty reduction must remain a major focus of policymakers if Afghanistan is to achieve lasting economic security. Future efforts to this end must ensure that the concerns of rural Afghans such as failed harvests, ill-health and crippling marriage costs are addressed, and that programming takes the systemic causes of poverty into account as well as provides technical assistance.